When it comes to health, the playing field is not even. 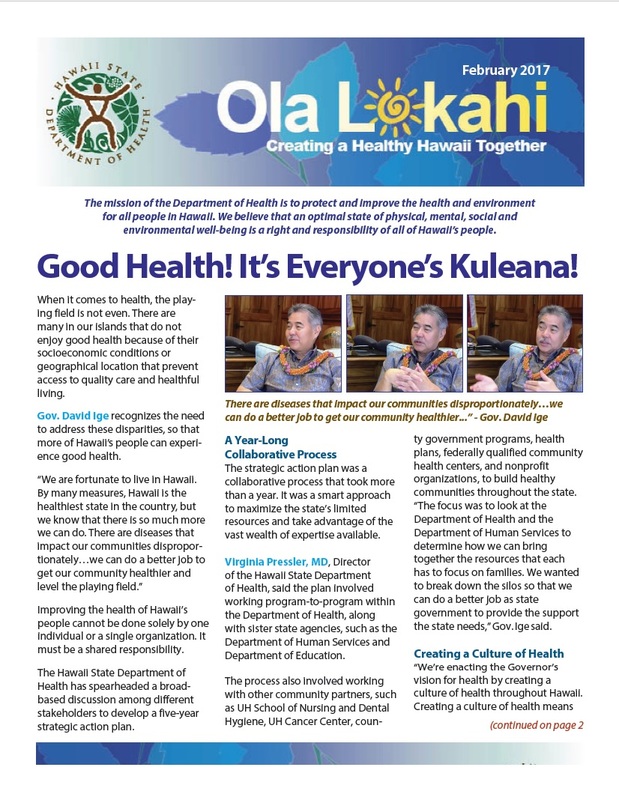 There are many in our islands that do not enjoy good health because of their socioeconomic conditions or geographical location that prevent access to quality care and healthful living. Open the attached newsletter pdf to read more. Three major priority areas are outlined in the Department of Health’s strategic action plan: 1)healthy babies and families, 2)integrating mental health and substance abuse screening into primary care, and 3)improving access to health using technology (telehealth). Open the attached newsletter pdf to read more.